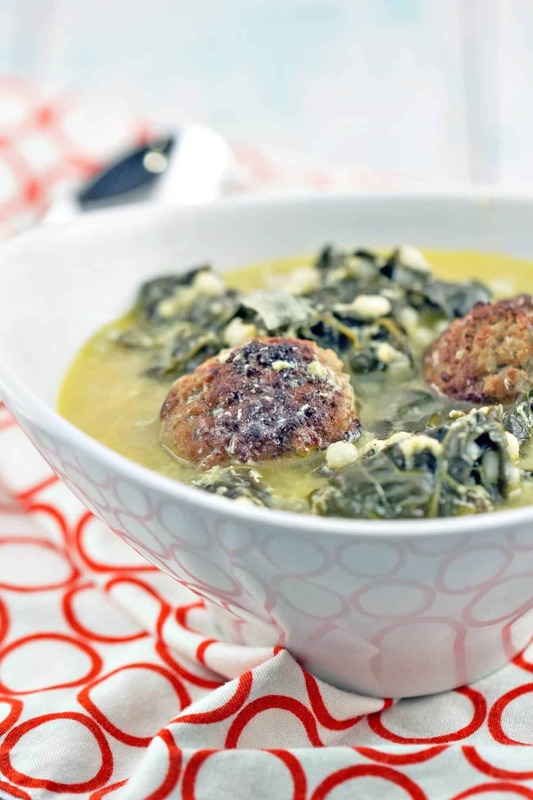 Italian wedding soup is a delicious, comforting favorite with meatballs and leafy greens, made with things already found in your freezer and pantry. Are you a soup person? I was never a soup person until very recently. For the first 30 or so years of my life, soup was only for two occasions: extreme illness or matzoh ball soup on Passover. I wanted absolutely nothing to do with soup outside of those two occasions. Tomato soup is great with grilled cheese, but you need the grilled cheese on the side. A bowl of tomato soup for dinner is just depressing. I want to chew something while I still have all my teeth – there will be plenty of time in my 80s for pureed soups. 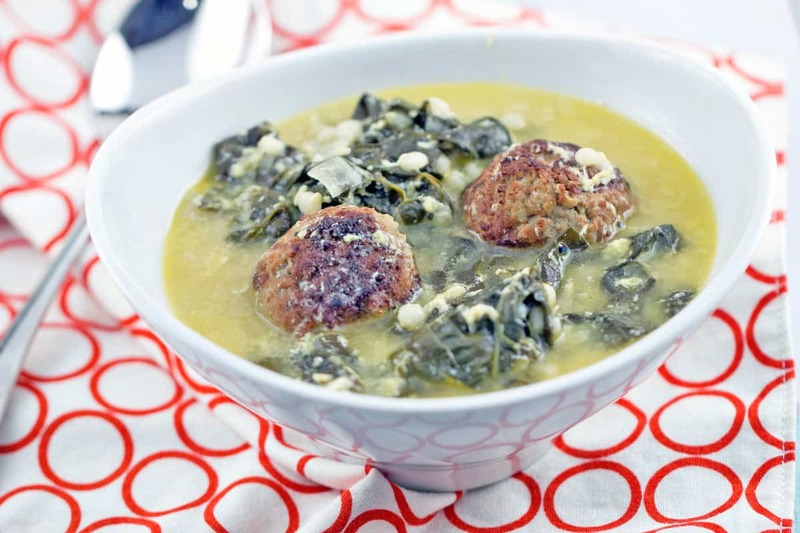 According to the powers-that-be (i.e., Wikipedia), Italian wedding soup consists of green vegetables and meat in a clear, chicken-based broth. Check, check, and check. We’re good – no quotes necessary! I don’t think I’ve ever had Italian wedding soup before, but my freezer was (and is, still) overflowing with meatballs. Desperate to regain some freezer space, I’ve been brainstorming ideas for how to use meatballs. 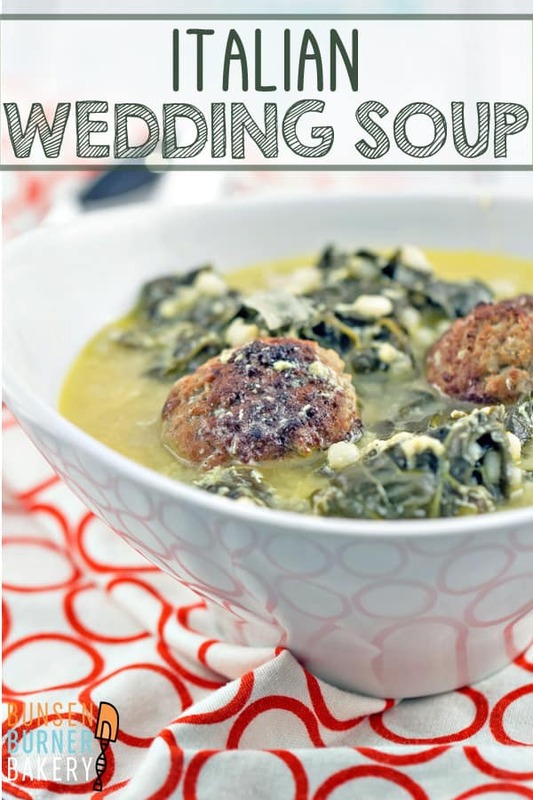 For whatever reason, wedding soup popped into my head. I figured even if the soup wasn’t great, we could at least fish out the meatballs and the greens and call it dinner. Friends, let me tell you — this was great. Giant meatballs (I think traditionally, tiny meatballs are used in soup, but I certainly wasn’t going to make more meatballs when I was trying to use up the ones in my freezer!) simmering in a bright lemony chicken broth, surrounded by leafy greens, pearl couscous (again, using what I already have on hand), and ribbons of egg. Not only was this Italian wedding soup delicious, but I also made it using things already found in my cabinets. Definitely the best kind of cooking, right? I often get calls from friends in semi-panicked states who are in the middle of cooking or baking and realize they are missing a key ingredient and want to know about substitutions. 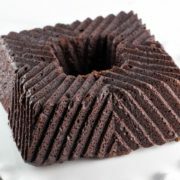 Now with baking, certainly, things get a little trickier, but when it comes to cooking? Go for it! Giant meatballs instead of tiny ones? Sure! Pearl couscous instead of pastina? Why wait an additional few days to purchase pastina when I can make this immediately with something already on hand? Swiss chard instead of escarole? Practically the same thing! I was a Girl Scout for many years — I repeated that line from the Girl Scout law about “use resources wisely” roughly a bajillion times in my childhood. 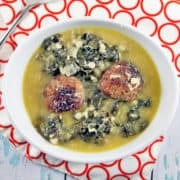 Italian wedding soup is truly a perfect winter dinner, and now that I find myself congested with a cold (ugh, parenthood) I’m seriously craving another bowl. 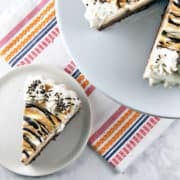 And hey, since this is made with all items I routinely keep stocked in my pantry and refrigerator, I just might go ahead and make a little more. A delicious, comforting favorite, made with things already found in your freezer and pantry. In a large skillet, heat 1 tablespoon of the olive oil over medium high heat. Add the meatballs in batches and cook, turning until all sides are browned, 3 to 5 minutes. In a large soup pot, heat the remaining 1 tablespoon of olive oil over medium heat. Add the onion and garlic and sauté until the onions are translucent and soft, about 5 minutes. Add the chicken stock and bring to a boil. Add the greens and couscous, cover the pot, and reduce the heat to low. Simmer the soup for 10 minutes, then add the meatballs and cook another 5 minutes. 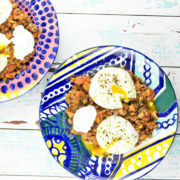 Using a fork, whisk together the eggs and Romano cheese in a small bowl. Once the meatballs are heated through, slowly pour the egg mixture into the soup, stirring constantly. Cover and simmer until the egg is set, about 30 seconds. Season to taste with salt and pepper and the juice of two lemons. I love soup and eat and make it all year round, this looks wonderful and sounds delicious, another one to add to my ‘to make’ list. This soup looks really delicious! I like that you use larger meatballs, rather than the mini ones. 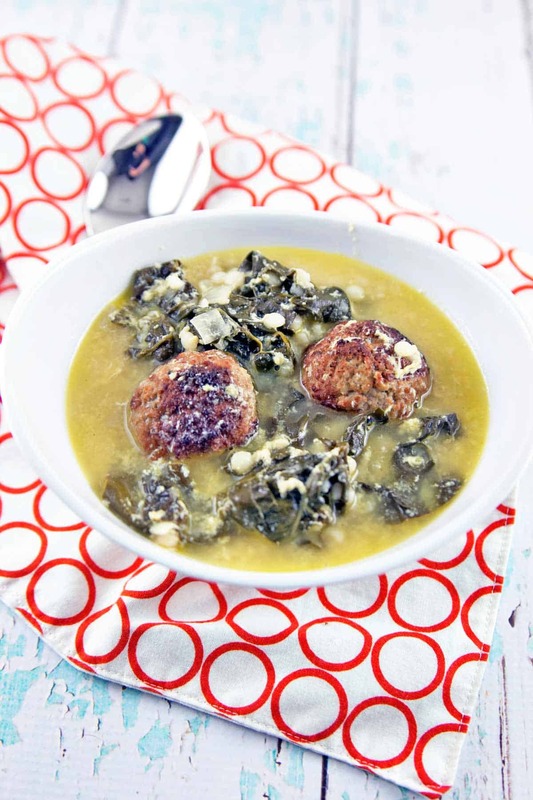 I’ve never tried to make Italian Wedding Soup at home…you’ve inspired me!